The ability to provide basic care for an injured or ill child is a fundamental skill set that every parent or guardian should have. In most cases, situations that require first aid are not life threatening and can be managed with simple, commonsense procedures; the key for parents and other family members is have access to this information when they need it. 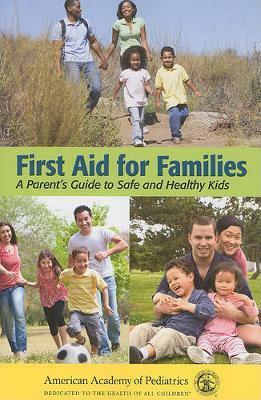 Developed by experts at the American Academy of Pediatrics, First Aid for Families: A Parent's Guide to Safe and Healthy Kids provides immediate access to vital first aid information on a range of common childhood illnesses and emergencies. This essential home resource gives parents the confidence they need to provide timely and appropriate care. The Appendix offers a quick reference to common childhood ailments, such as fever and sore throat, and recommendations for when it is safe to allow children back to school or day care. First Aid for Families: A Parent's Guide to Safe and Healthy Kids also includes information on choking and CPR, how to pack a first aid kit, and injury prevention.